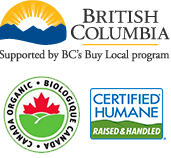 As a diversified family of companies encompassing feed operations, breeding and hatching, growing and processing chickens and turkeys, Rossdown Farms offers many different job opportunities. We’re always looking for motivated individuals who are interested in careers with an agricultural focus. From production and quality control to management and sales, Rossdown Farms is a place of opportunity. If you’re interested in a career in any area of our family-run businesses, we’d love to hear from you. Broiler Farm Labourer – Job Description. Machine Attendant – Job Description. Key Account Manager- Job Description. Feed Mill Labourer- Job Description.